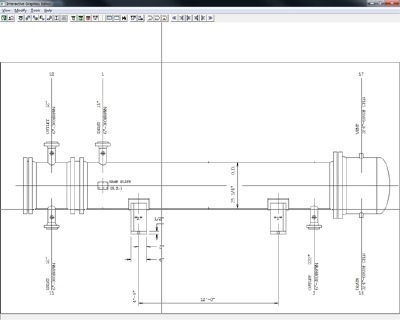 RCSWin has a variety of graphical tools to assist in creating mechanical designs. RCSWin has a comprehensive interactive tube layout program that allows the designer to create 1 through 12 pass layouts, including alternate layout formats for multipass units. Units with greater than 12 passes can be created using interactive input and specifying additional parameters manually. 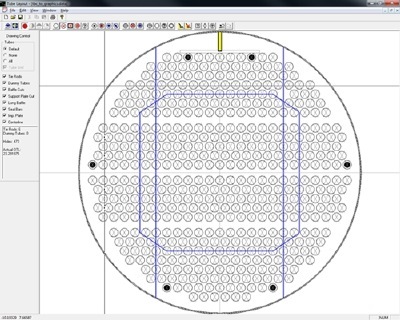 RCSWin also has an interactive graphical editor that allows the designer to calculate nozzle reinforcements, add, duplicate, and delete nozzles, as well as change dimensions and generate the effect of the outline drawing. 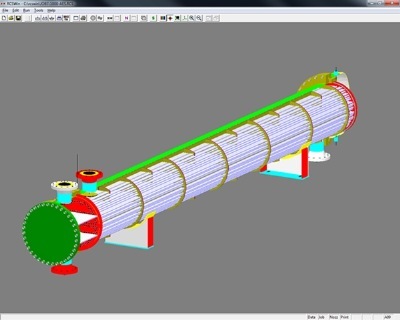 RCSWin is capable of generating a three dimensional scale model of the exchanger. Several options are available, including the external model, internal model, and specifying individual components to view, such as the bundle only, or just the floating heat, etc. The three dimensional model can be viewed from all angles, rotated, zoomed, etc. In addition, the 3D external model data can be used to generate a 3D model in AutoCAD. Three dimensional external model of a kettle type exchanger. 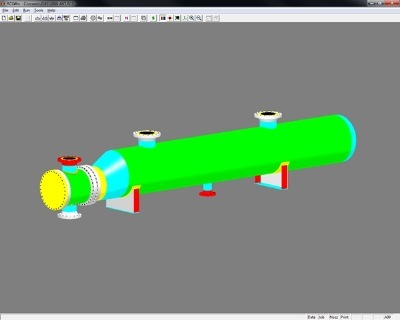 Three dimensional model showing exchanger internals. Not all tubes are drawn in this example, only the outer tubes. However, all tubes can be displayed if desired. Three dimensional model of the bundle only.